Since 1987 our award-winning Design/Build company has specialized in residential remodeling in the Greater Indianapolis area. We do projects of all types. From kitchen and bathroom remodeling, to porches, second floor additions and master suites, Gettum Associates, Inc. is a one-stop shop. Concept, design, construction and service after the sale, all under one roof. Our proven, integrated system will save you time and money. From the initial concept and design to construction and all the way through service after the sale, we truly are a one stop shop. Our 5 year warranty, along with thirty (30) years of being in business will give you peace of mind knowing that if a problem should arise you have someone to call. Good interior designers think about you in the context of your space—how you live in and use your home, and how you want it to feel and function when you're in it. SYI wants to help you love your home, and love the process of making it yours. We help alleviate the stress of a renovation, and we help you avoid making costly mistakes. SYI creates for our clients thoughtful, comprehensive plans, so when you're ready to purchase or tear down or build out, you know it's going to be right. Great design is when you walk into your home and it just feels right. Great design doesn’t just happen; it is a collaborative effort between our homeowners, the design team, and the contractor. At Corinthian Fine Homes it is paramount that we deliver great design that is inspired by input from our homeowners and their lifestyle as well as input from the design team. Great design not only looks timeless, but is also functional for your family’s lifestyle. Our company recently celebrated our 20th anniversary and our team has more than 50 years of industry experience under our belts. The relationships we form with our clients make us unique. It takes mutual trust to be built between our homeowners and us. It is not something that is easily defined or marketable; however it is crucial for a successful project, and something we strive for. Our goal is that at the end of your project, you are delighted with the end result, and look forward to working with us on your next new home or renovation. In addition, our clients differentiate us in the market place, because we do truly unique, “one of a kind” award winning work. We are simply a builder with no pre-set standardizations; we collaborate with each of our clients to fit their lifestyle and home aspirations. Specializing in residential remodeling and redesign. Additions, kitchen & bath, basement multi-use, deck & patio projects with style and superior craftsmanship. The work done on your home will be completed as if it were being done on my very own. Quality craftsmanship, total involvement, attention to detail, and a commitment to your satisfaction are the cornerstones of my business. DHM Remodeling is proud to use durable products like Fiberon decking, Atlantis cable railing, Key-link fencing, Twin Eagle grills, Kerdi, and Ditra from Schluter Products. Central Construction Group, Inc. is Central Indianapolis’ premiere remodeling and construction professional. Everyday we work to ensure that the residence of Indianapolis and its surrounding areas live beautifully. CCG, Inc. help homeowners design and build their home renovations, room additions and new construction plans. We work with our clients to make sure that they love coming home. We are different, our professional team believes in quality, craftsmanship and value engineering. Whether we’re creating or renovating a kitchen or bath, we put your needs first. In doing so, we stand behind these operational standards: discipline, communication, honesty, trust, professionalism and delivering unparalleled service. Central Construction Group, Inc. is a licensed, bonded and fully insured, full-service residential general contractor, serving Hamilton County and the greater Indianapolis area. Bailey & Weiler Design/Build integrates custom home design and construction into a seamless progression from concept to completion. We start by listening as you describe your lifestyle, vision and goals. We collaborate to design a custom home plan that balances form and function with budget. Benefit from our interior design expertise as we visit showrooms to finalize your selections, finishes and colors. Your home construction is skillfully completed by experienced craftsmen that take pride in the quality of their work. We ensure that the finest details of your vision are implemented exactly as you desire. Whether you are building your dream home on Lake Monroe, tackling a kitchen renovation, or remodeling your master bathroom, we are ready to make your vision a reality. Based in Bloomington, Indiana, Bailey and Weiler serves the homeowners of Monroe County, Lawrence County, Owen County, Morgan County and surrounding communities including Ellettsville, Spencer, Bedford, Martinsville and Nashville. 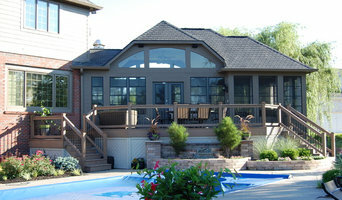 Bailey & Weiler Design/Build was established by Craig Bailey and Don Weiler in Bloomington, Indiana in 2005. Each has over 20 years of experience in custom home design, custom home construction, commercial design, commercial construction and project/construction management. We are residential home specialists that handle small to large scope remodels. We specialize in bathrooms renovations and home modifications. 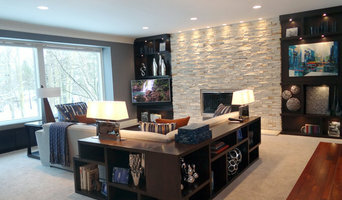 Heartland Construction & Design, Inc.
Heartland Construction & Design, Inc. is a family owned and operated business with over 50 years of eperiance. We are a quality first contractor with high standards and values. We understand that any project weather it be a remodel, room addition, Deck, or new build can be extremely stressful for the customer. We try our best to make this a lasting enjoyable experience. The one thing I love about our company is I have made friends for life with our customers. Let us be your extended family! We do commercial, residential, and government projects. We offer all services from start to finish. You will always see a member of Heartland on your job site. As a twelve year old boy growing up in Southern Indiana, Lee’s passion to design and build began with a tree house… a three-story tree house! Later, this transformed itself into the hobby of making custom furniture. Shortly after Lee graduated from Ball State University’s College of Architecture and Planning in 1986 with a Bachelor of Arts in Architecture and a Bachelor of Science in Environmental Design, he realized his passion for design and his need to “build” could best be served by assisting homeowner’s with their needs, relative to owning, building, and/or maintaining their personal dwellings. 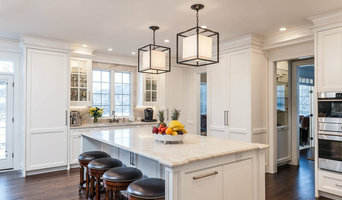 With that in mind, Lee began Constantine Design Group, Inc. in the Fall of 1995 for the purpose of focusing on assisting those with residential architectural needs; be that a new custom home, the remodel of an existing home (or space), or, an addition to an existing home. Lee’s focus is on residential architecture, those places we all call “home”. His goal is simple: “I’m a problem-solver. Through creativity, knowledge and experience, I strive to help my clients: identify their particular architectural problem(s), develop architectural solutions that remedy the problem(s) in a creative way, assist them with assessing each architectural solution, and finally, helping them achieve the completed construction of the chosen architectural solution.” Constantine Design Group has assisted over 225 clients in the Indianapolis area with unique custom-home designs, remodels, additions, space planning solutions as well as interior design needs. Residental and Commercial architect in Indianapolis specializing in projects of all sizes including renovations to new construction, and project types from historic preservation to the latest modern trends. Licensed in multiple states.